FERMAX has realised the project by the Argentine artist Pastel, winner of the Street Art competition held in March, to transform the iconic façade of its headquarters in Valencia. The work lasted 23 days to create a 1600 sqm façade with a floral theme in keeping with Valencian flora. With the advice of the Botanical Garden of Valencia, autochthonous species have been introduced into the work, such as the Montgó thistle, the toadflax, the Valencian lupin or the Ifach campion. The project has considered the scale and location of the building, as well as its enveloping capacity for those who interact with it, showing both human impact and relationship with Nature. 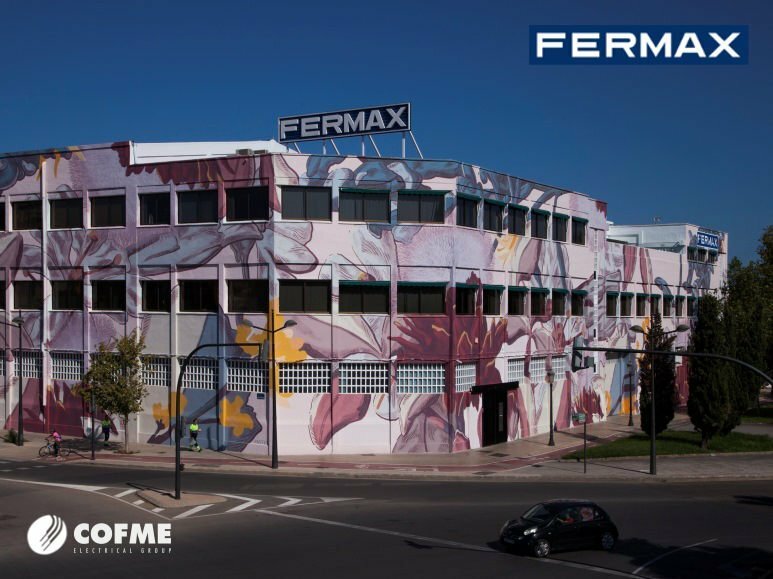 This modern form of artistic expression connects the FERMAX brand with younger audiences, and shows the brand’s commitment to Street Art, initiated 6 years ago through an agreement with the University of Valencia.